We all try to be as healthy and natural as possible. We go to grocery stores, organic markets and spend money on superfoods. We purify our drinking water, pay attention to our body and occasionally try to enjoy nature to come out of our hectic schedules. A herb garden fits perfectly well into this picture. Your home-grown herbs and perhaps vegetables too. Who does not want that? Freshest and tastiest. But of course, there is still a practical side to this story. How to create a herb garden? 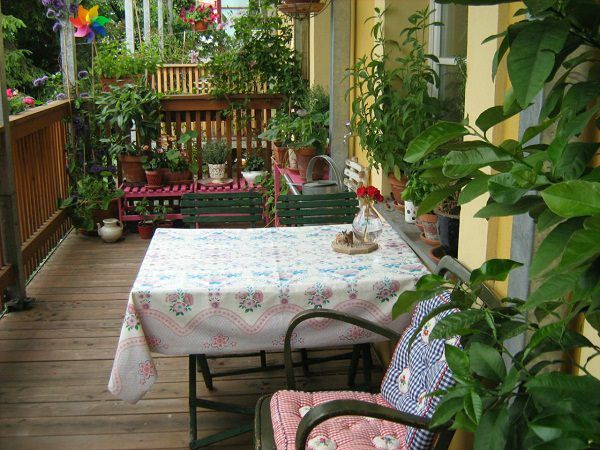 Do you have space for a garden in your urban house? Maybe not, but you can create a small garden anywhere. 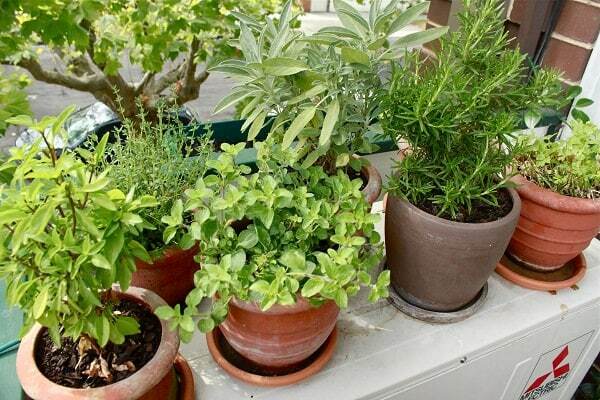 In your apartment balcony, on a small terrace, deck, patio or a rooftop, you can create a herb garden. 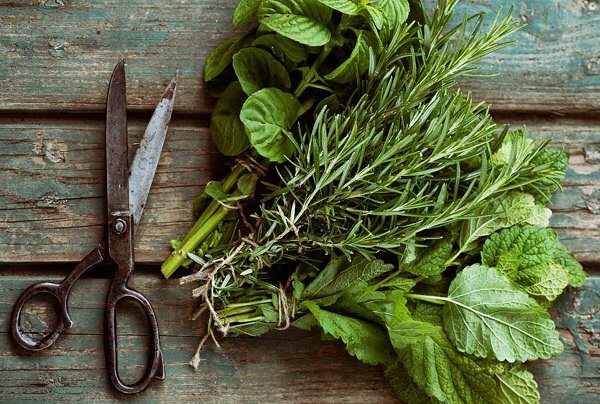 Gardening with herbs is easiest. A good start is half the work. Carefully think about what you want exactly. A herb garden (or any garden) takes time, money and energy, so it’s better to know what you need before you begin. Do you eat a lot of basil, parsley, cilantro or even thyme or rosemary? 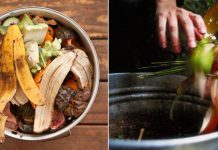 If you’re not so sure what you’re using exactly and frequently wait for a couple of weeks and keep a small diary or save your observation in a message or email draft and see what often gets into your food, which herb is essential in your culinary habits and which one you would like to try. Once you get the answers, go ahead to buy herbs for a herb garden or start them from seeds. 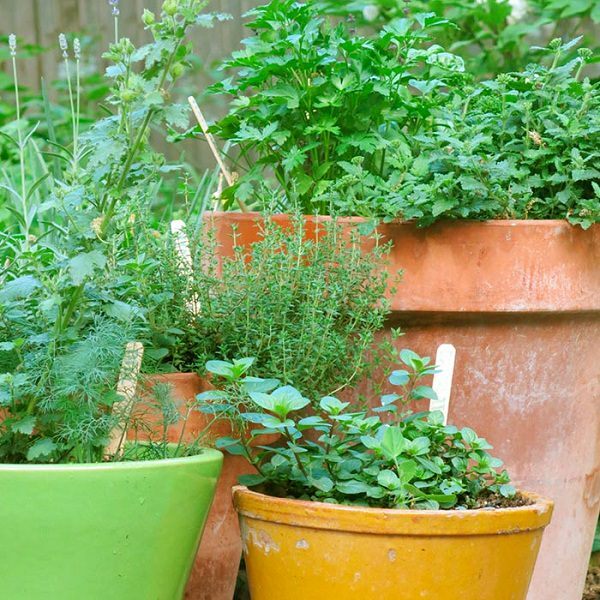 Tip: As you’re growing herbs on a small scale, grow them from plants you can buy from nurseries and garden centers. This will save a lot of time. Next, it’s essential that you choose the right place for your herb garden. That is of course entirely dependent on the available space. 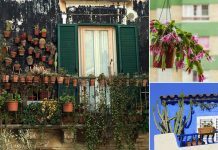 In a limited space like a windowsill, you should probably do this with a few pots. 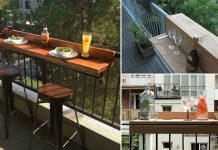 Much better if you have a balcony or rooftop, you are all set, and if you have a garden, the possibilities are quite endless. What you should think, especially if you need to work in a small space, is that how much sunlight you get there. Go vertical to create space. Use walls, railings, and ceiling to hang planters. If you think smartly, you can increase your space up to 3-4 times this way. You can also hang shelves to put extra small pots. Another attractive solution is to make a pallet shelve or use a shoe rack. You can also grow herbs indoors. Here are a few important tips! If there is space left, grow more than just herbs. Beautiful annual flowers, foliage plants or long-lasting perennials. A lemon tree or a dwarf fruit tree. The possibilities are endless. You can also start to grow your own vegetables. Plants love sunlight. But as with everything in moderation is very important. If your place receives day long excessive sunshine, provide a little afternoon shade, especially in hot climates. Too much sun can dry out the herbs, herbs like cilantro and basil bolts in warmer temperature in the scorching sun. 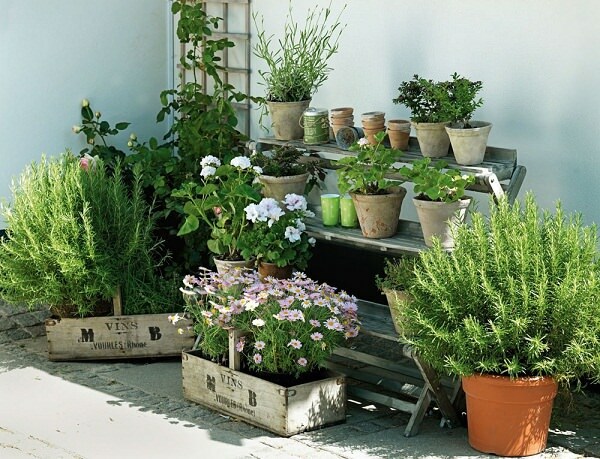 Your herb garden will also look very nice, and the fragrance of aromatic herbs will make it a cozy place to sit in. If you have grown some flowers and shrubs you can enjoy it more. So it’s a good idea to create a nice place to sit. 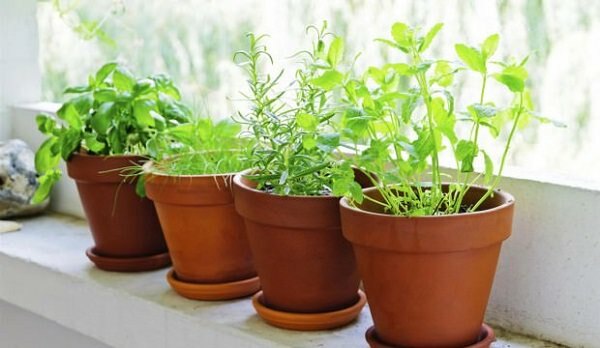 With these apartment herb garden tips and some dedication, the time will come when the herbs are ready to be picked. You can pick off fresh, fragrant leaves to garnish on your dishes or you can store some for later use. Of course, it depends entirely on how much you have sown. This will decide how much you will have to reap. It is nice to keep the dried herbs in the kitchen so that you can use them during cooking conveniently. 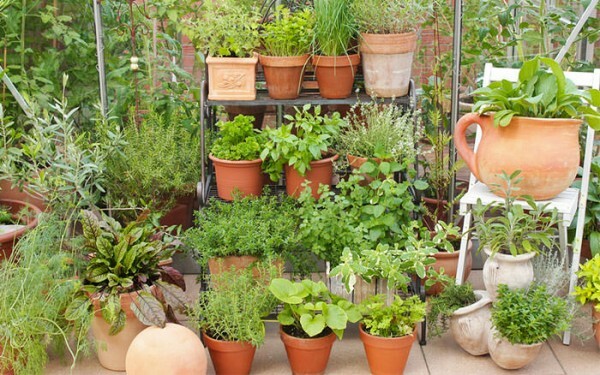 If you’re growing herbs in a limited space, share your experience with us in the comment section.